To view race results and heats, click here. 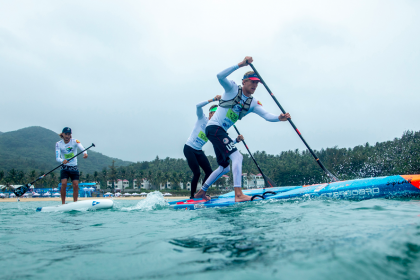 Hungary’s Daniel Hasulyo and USA’s Candice Appleby claimed the SUP Technical Race Gold Medals in exciting fashion on the sixth day of competition at the 2018 ISA World SUP and Paddleboard Championship in Wanning, China. Team USA flexed their junior SUP talent and swept the historic first-ever Under-18 Technical Race Gold Medals. Jade Howson and Ryan Funk were respectively crowned World Champions in the Girls U-18 and Boys U-18 Divisions. 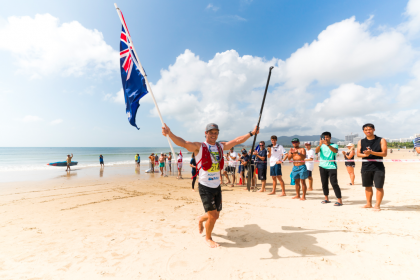 Team Australia continued their dominance in the Paddleboard discipline earning Gold in both the Men and Women Divisions. 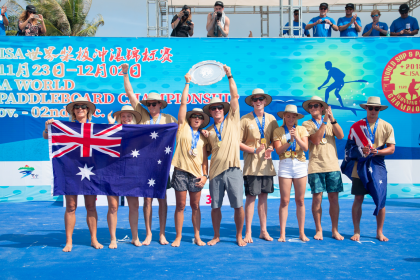 Lachie Lansdown repeated as Technical Race World Champion and Grace Rosato emerged victorious in her first ISA appearance. With a Silver Medal in the Men’s Race, Connor Baxter earned a spot in the 2019 Pan American Games as the highest finishing athlete from the Americas. 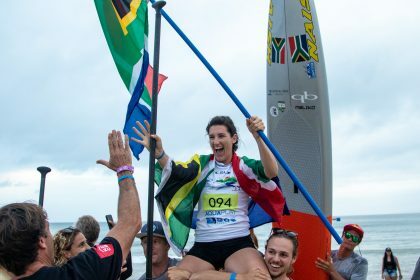 Appleby took the slot for the women with her Gold Medal performance, double qualifying her for the Technical Race as well as the SUP Surfing competition. USA’s triple Gold Medal performance gave them a valuable boost into the lead of the team ranking with six individual medals and the Team Relay medals remaining to be awarded through the back half of the event. Australia earned five medals across the six finals, leaving them in a close second place behind USA. The powerful Hungarian brother duo, Daniel and Bruno Hasulyo, made their presence known at their first participation in the ISA Worlds in 2017, with Bruno notably earning the Distance Race Gold. USA’s Connor Baxter, who was trading off the lead with Daniel Hasulyo for a large part of the race, fell behind in the surf zone on the final lap and finished with the Silver, another great result for USA. “This is the best feeling ever,” said an emotional Daniel Hasulyo. “I got sixth in the Technical Race and fourth in the Distance last year. This year I put all my dedication into it. Hard work paid off and today I did it. I can’t describe it. New Zealand’s Trevor Tunnington earned the Bronze and Bruno Hasulyo earned the Copper. 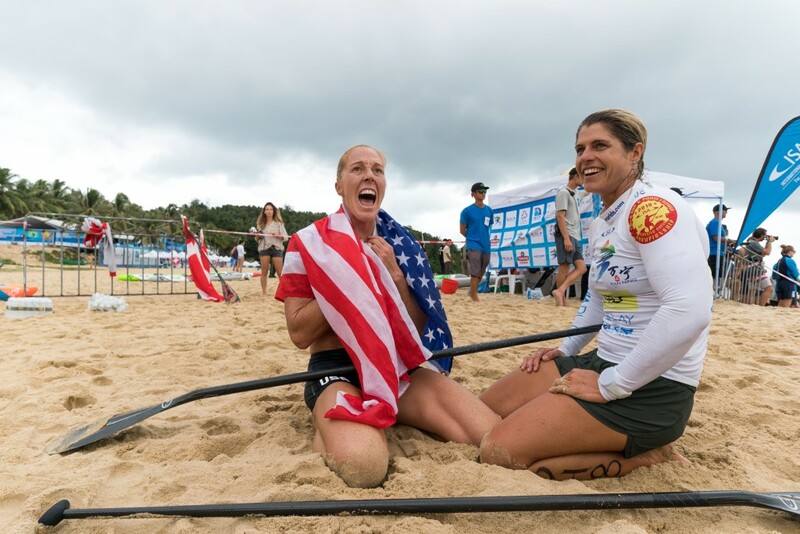 USA’s Appleby and Australia’s Terrene Black battled neck and neck for the lead in the Women’s SUP Technical Race Final. Appleby ended up nudging into the lead and earned her second Gold in the discipline. 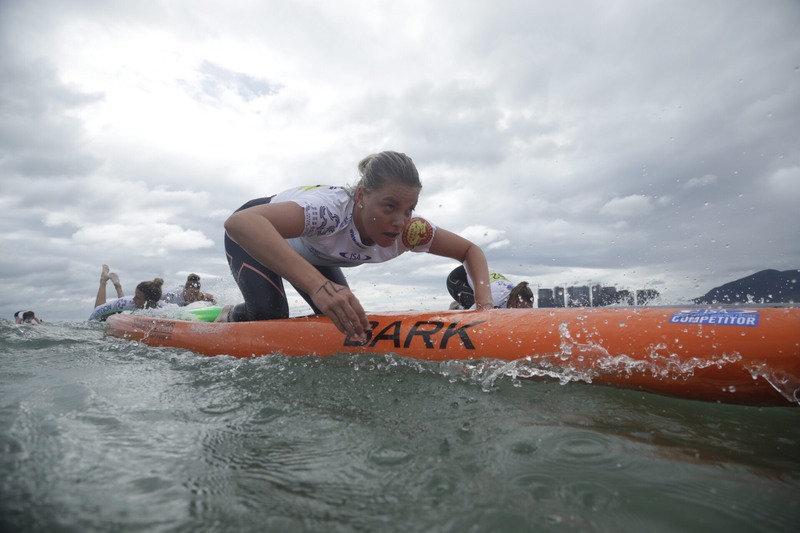 Australia’s Shakira Westdorp, who recently took the SUP Surfing Gold, earned the Bronze Medal and France’s Olivia Piana earned the Copper. “It feels awesome to win the Gold,” said Appleby. “I never imagined that I would be StandUp Paddleboarding all the way in China. “The women’s side of the sport has been pushing it to the next level. We know that we have to support each other to have progress. 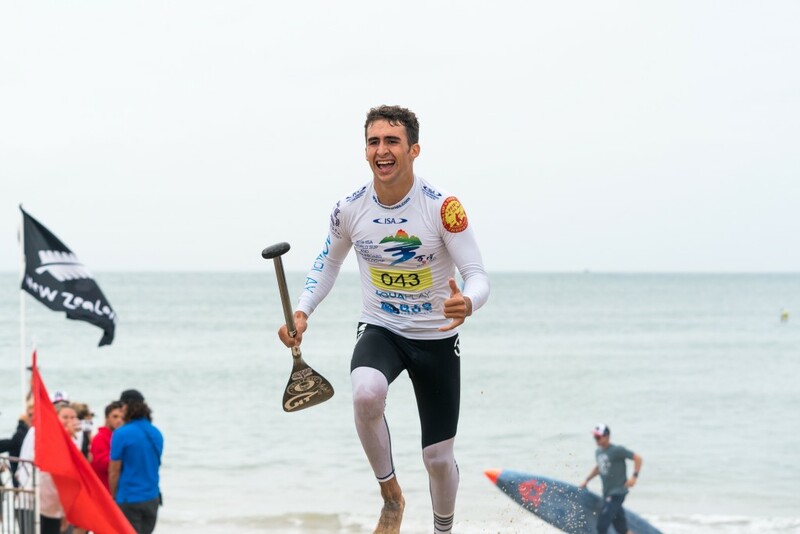 The Boys and Girls Junior SUP Technical Races kicked off the string of finals this morning, with USA’s Ryan Funk and Jade Howson respectively winning the Boys and Girls Finals. 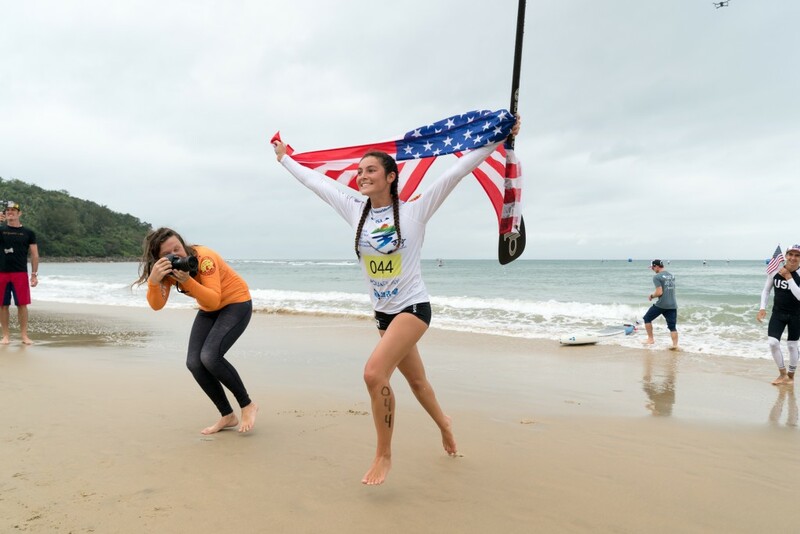 Both athletes finished with convincing leads, giving a glimpse into the promising future of SUP Racing in the USA. New Zealand’s Oliver Houghton earned the Boys Junior Silver, Australia’s Sam McCullough the Bronze and France’s Noic Gariou the Copper. On the Junior Girls side of the race, France’s Melanie Lafenetre earned the Silver, Denmark’s Caroline Küntzel the Bronze, and Italy’s Laura Dal Pont the Copper. Australia’s Lachie Lansdown robbed Team USA from a fourth of Gold in the Men’s Paddleboard Race. 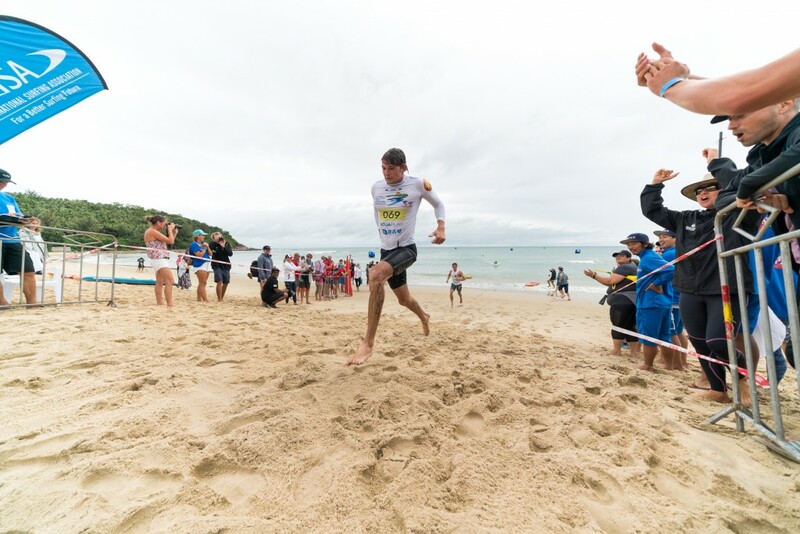 Having overcome a fall on the first lap, Lansdown trailed USA’s Hunter Pflueger on the final stretch, but was able to pass Pflueger with the help of a small wave when heading into the beach towards the finish line. New Zealand’s Daniel Hart followed with the Bronze and South Africa’s Jadon Wessels with the Copper. The Technical Race Gold for Lansdown is his second consecutive after he was victorious at the 2017 edition in Denmark. 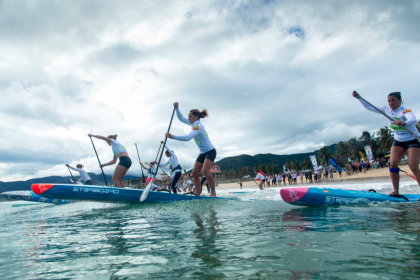 The women’s Paddleboard Technical Race was one of the most closely fought through the first half of the race. 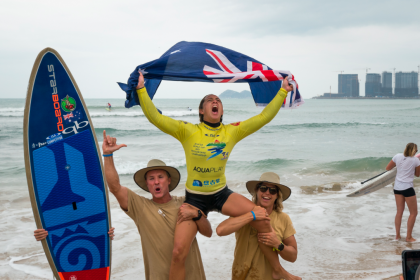 Australia’s Grace Rosato, who was replacing an injured ten-time ISA Gold Medalist Jordan Mercer, had big shoes to fill and did not disappoint. Rosato managed to pull away and earn Gold in her ISA debut followed by Spain’s Judit Verges with the Silver, Denmark’s Katrine Zinck with the Bronze, and USA’s Kailyn Winter with the Copper. Thursday will be a lay day in Wanning, China as the event repositions from Riyue Bay to Shenzhou Peninsula where the Distance, Sprint and Relay Races will close out the event and crown the Team World Champion. “The Technical Races were profiled to be some of the best ever, and they did not disappoint. The world’s best showed excellent skill in this dynamic course and displayed their talent on the highest stage in the sport.